all day art making. yes please. Oh does it ever. 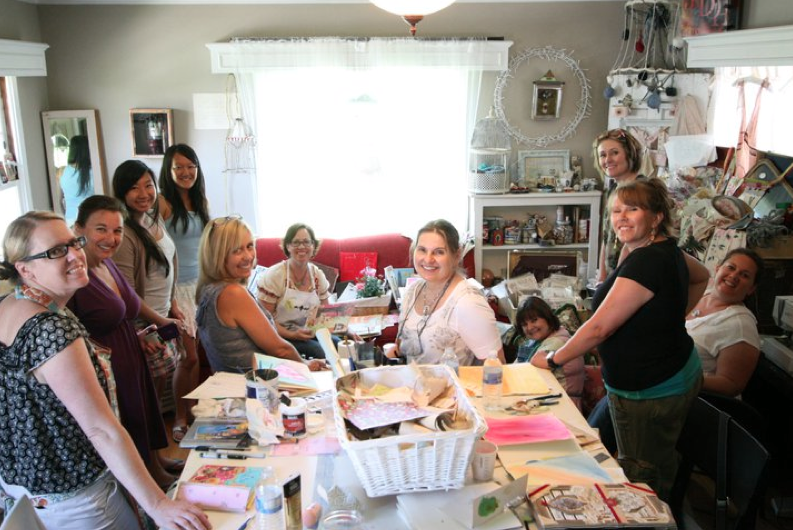 Especially when you gather in a beautiful home studio to make art with the ever-so-talented and inspiring Pam Garrison. I was blessed enough to spend my entire Sunday with Cindy and a great group of women painting and playing. Not only does she support artists like no other, Jenny Doh is constantly cultivating an amazing community for creatives. She kindly opened up her doors and hosted a group of 10 ladies to enjoy the day in a fabulous way.